"What is DIY?" I ask Mum. "Do It Yourself," Mum answers. "It's a site where there are lots of challenges.You can do craft, cooking, writing, animation, photography and other things. You can have a look at it if you like." I rush over to my computer and flip it open. I am soon on DIY looking around. It looks fun and soon I am telling Gemma-Rose all the things I would be able to do if I joined. "You could sign up if you like," Mum offers. "Really?" I ask, already finding the sign up page. Soon I have joined and I'm looking around to see what badge I will try to earn first. "I want to try earning the Writers' Badge," I tell Mum. "One of the challenges is to make a blog and write three blog posts. I already have a blog so all I have to do is take a photo of it to prove I've done this." Soon Mum and I are trying to work out how to take a screen shot of my blog. "Press the print screen button and then go to Paint and click paste." It takes a while for Mum and me to work it out. But we work it out in the end. I go back to the DIY site and upload the picture of my blog to my project page, and I smile. "I have done my first project," I tell Mum. She smiles at my excitement. I can't wait to earn my Writers' Badge and do more projects. It is going to be a lot of fun. 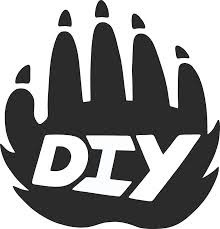 Are you on DIY? What is your username? I am Miss Fifi! I love diy! My name is Cocoa Fox if you didn't already know. I've got the writers badge and the paper crafters badge.